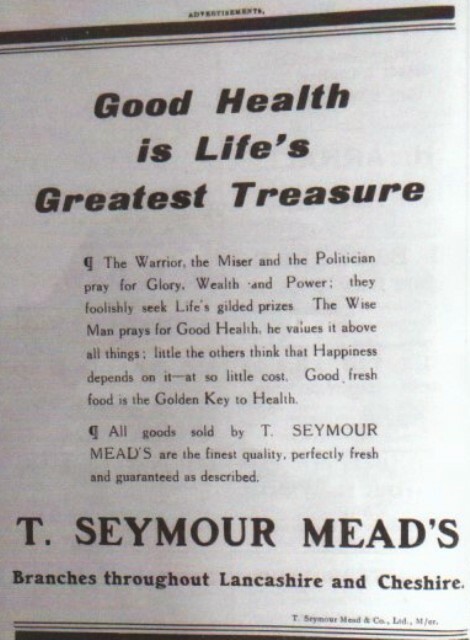 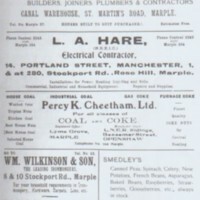 Numerous photocopies of Marple business advertisements dating from 1892 to 1938 extracted from pages of All Saint Parish Magazine. 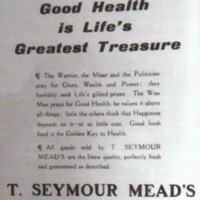 All copies are individually dated. 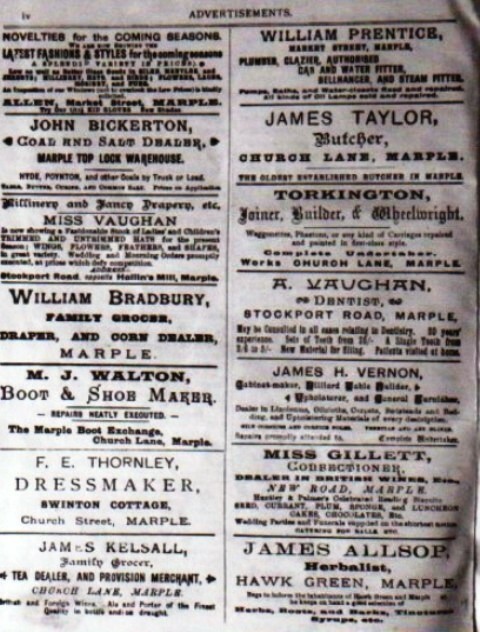 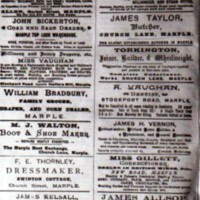 “19th & Early 20th Century Advertisements for Marple Businesses,” Marple Local History Society Archives, accessed April 24, 2019, http://marplelocalhistorysociety.org.uk/archives/items/show/2348. 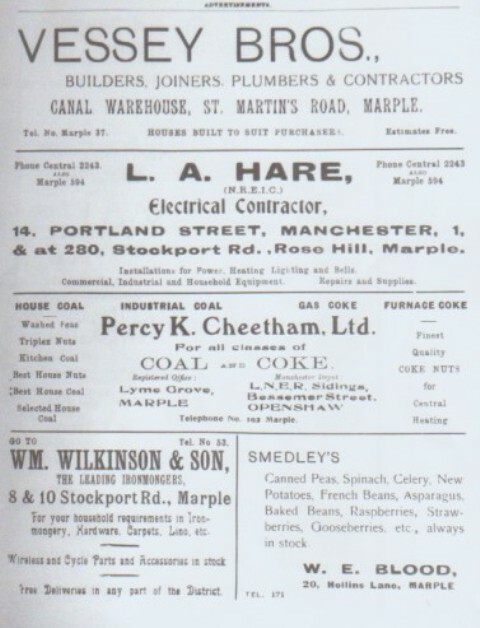 Created, managed and hosted for MLHS by The Marple Website Design and Hosting.